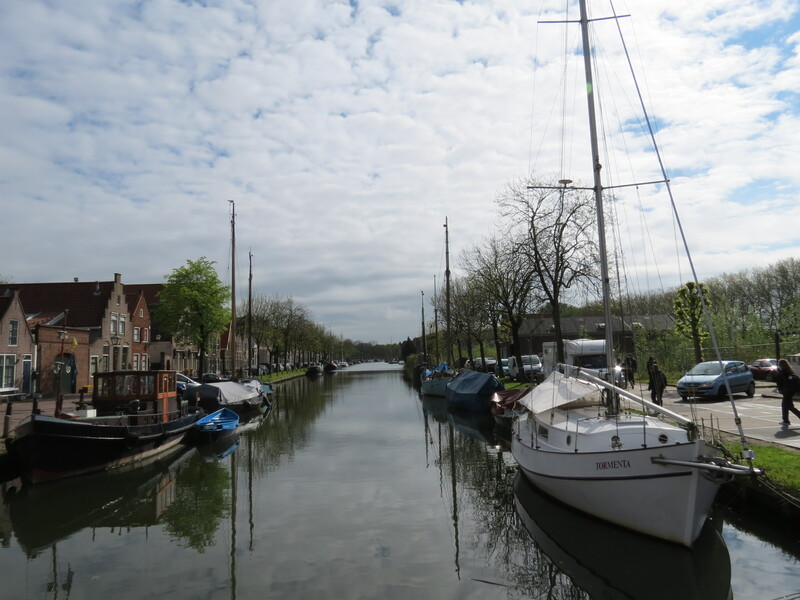 Having arrived just a day before our scheduled trip to the Dutch countryside, I was surprised to not have had a problem with jet lag, as we woke up bright and early for that short drive from Amsterdam to Edam. 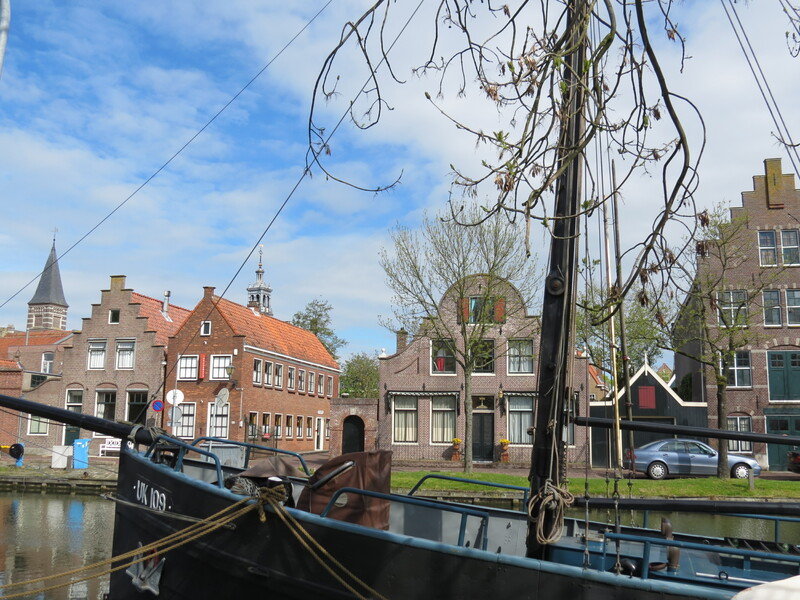 The rain was crazy the night before, so we were a bit worried that we’d have to tour Edam in the rain; but lo and behold, the weather was on our side: it was a beautiful day! 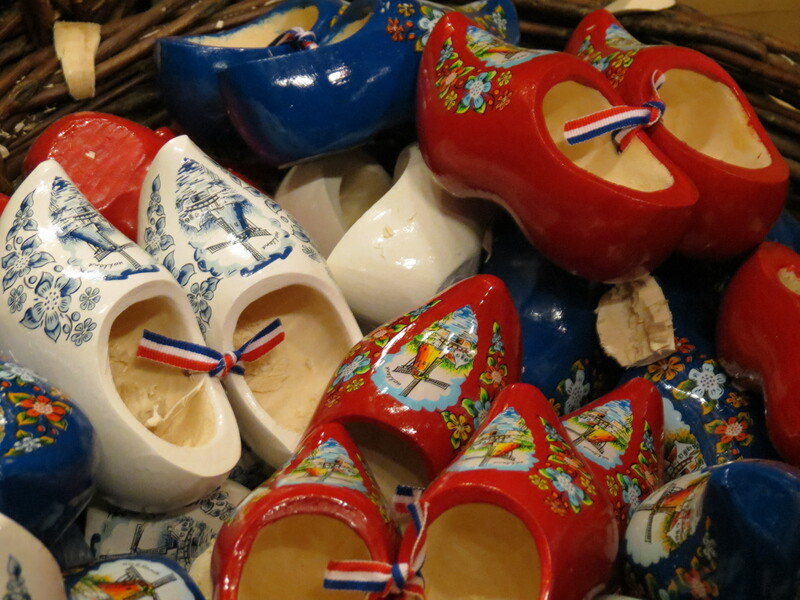 There are three things Holland or more appropriately called, the Netherlands, is particularly known for and those are: cheese, windmills, and those big wooden shoes known as clogs. 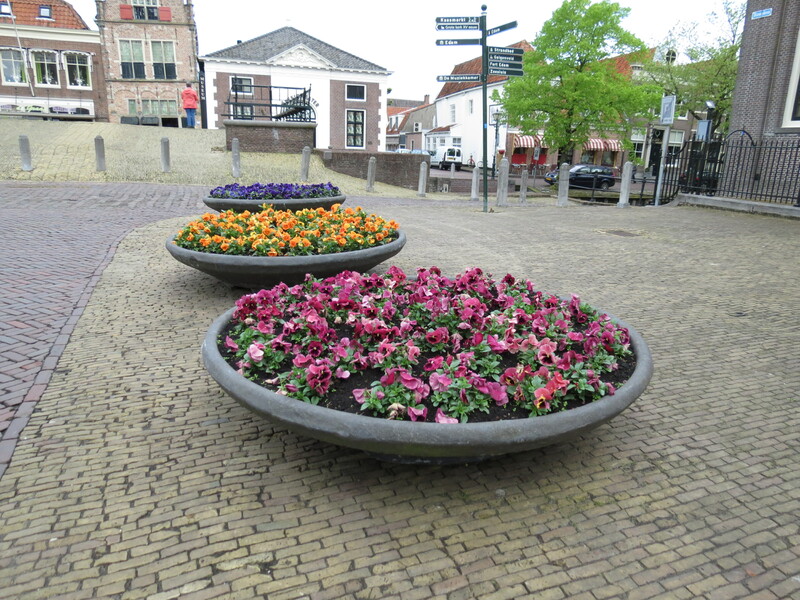 And two of which, we had the opportunity to learn more about on this little excursion from Amsterdam. 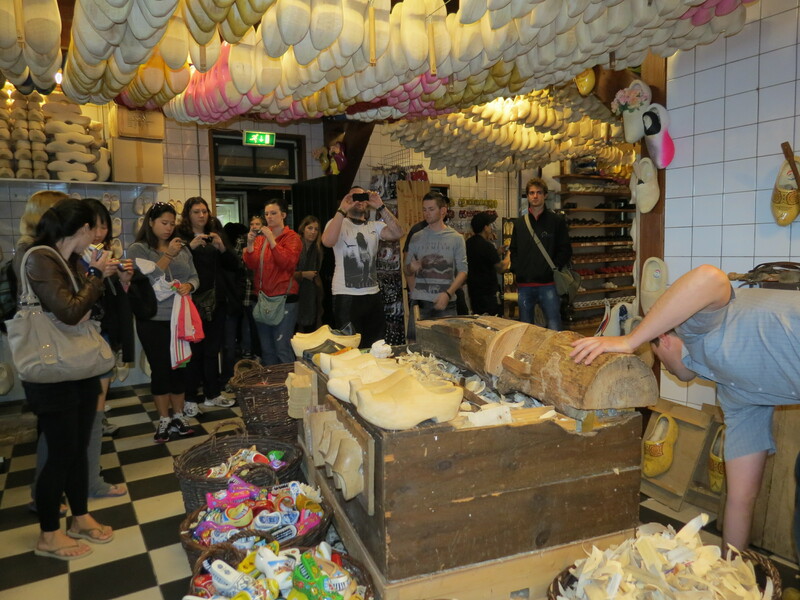 The clog-making demonstration was more entertaining than I thought it would be, since the guy who was doing it was hilarious and well-skilled. 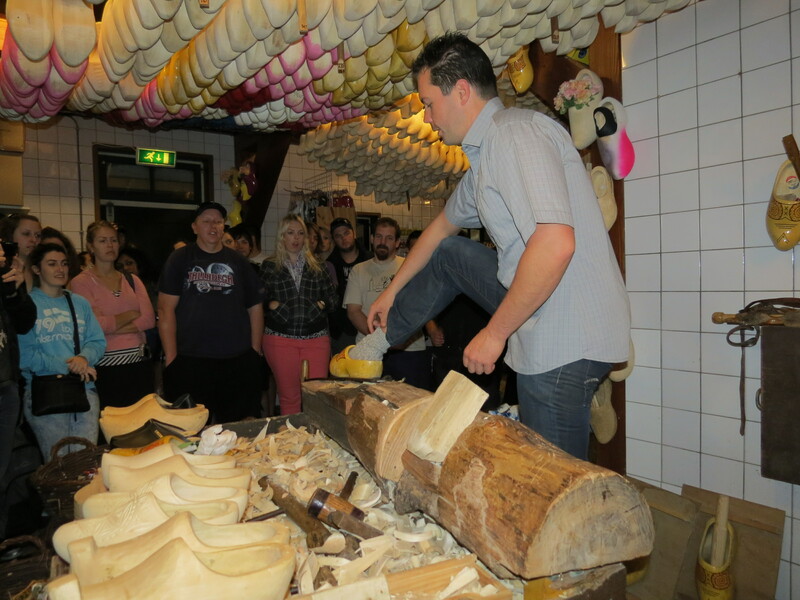 He formed one clog from a rectangular-shaped piece of wood in ten-fifteen minutes, but we were told that though the shaping process takes a few minutes, the drying process takes about two to three weeks. 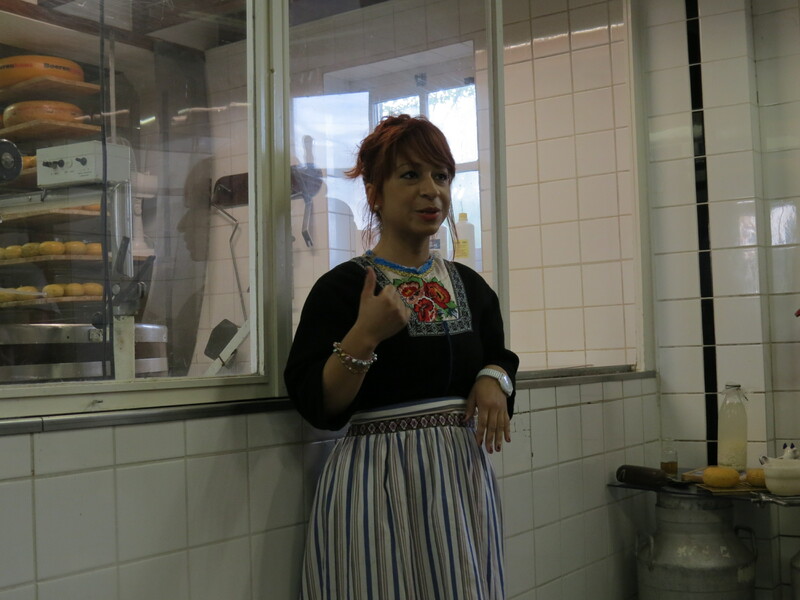 After the clog-making demonstration, we were welcomed by a wide array of different kinds of cheeses, preceded by a tiny glass of wine. 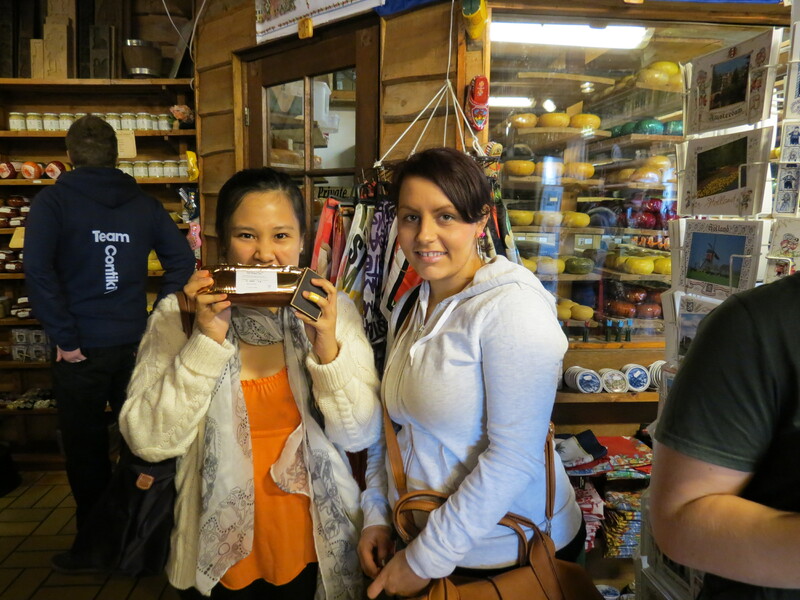 I just had to taste everything, even if I was still full from breakfast that morning. 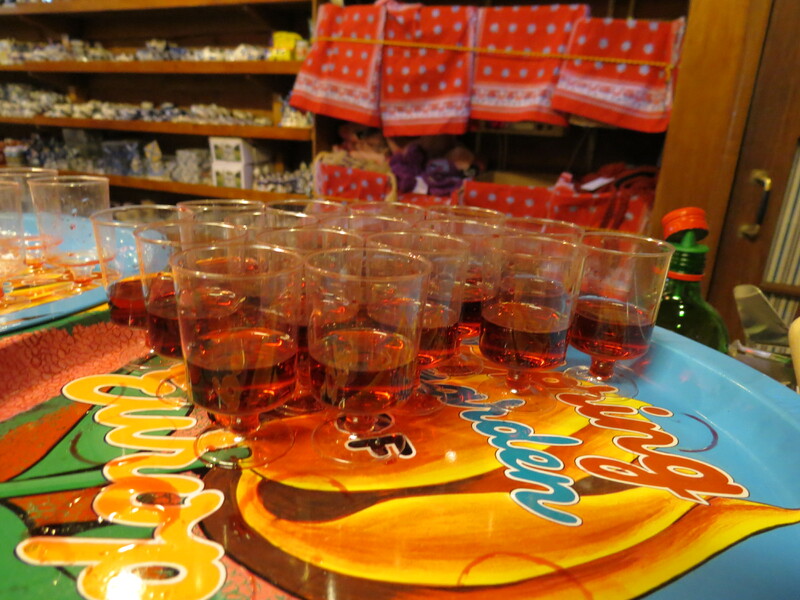 At the end of the cheese selection, there was a bowl of one of the best products from the Netherlands: waffles. How I wish I brought a pack or two home. Among the cheeses, my favorite one, though I had forgotten the name, was the one that tasted like Salami, so I bought some to bring back home. 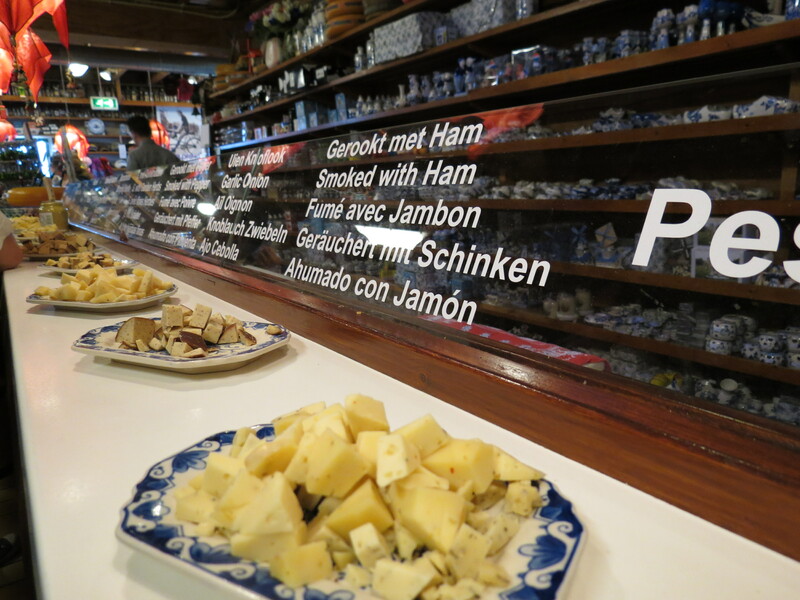 This was the moment I fell in love with Edam, and this is what I highly-suggest one must not miss-out on, while visiting this part of Europe. 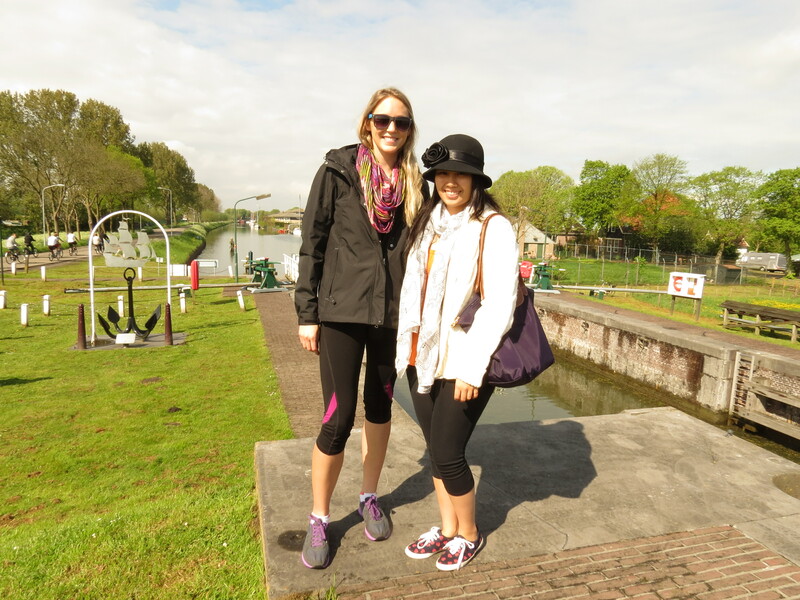 As we walked for about twenty minutes from the drop-off point, we entered this beautiful little town that I couldn’t help but gush over. 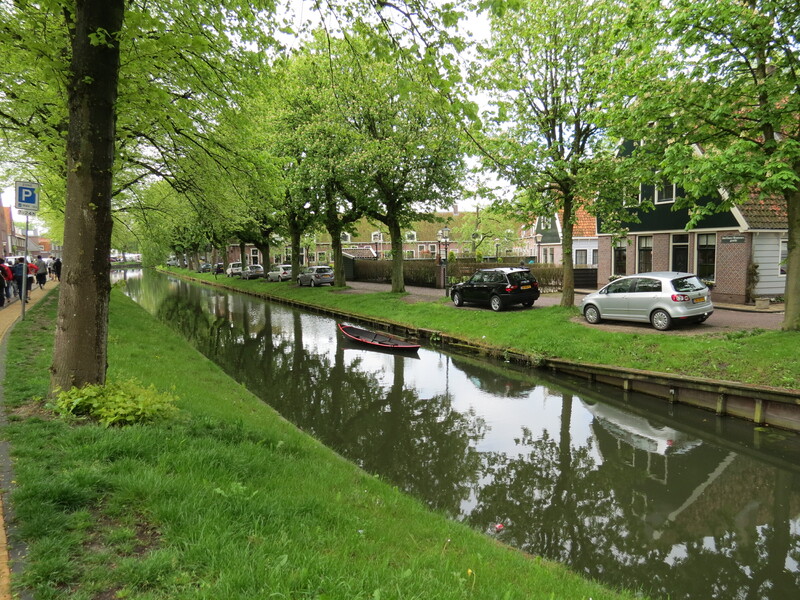 Little Dutch buildings right beside canals with lush greeneries all around – I realized that my first taste of Europe was indeed special. As we were led by our guide to a little shed that housed a ton of bicycles, I was hesitant at first. 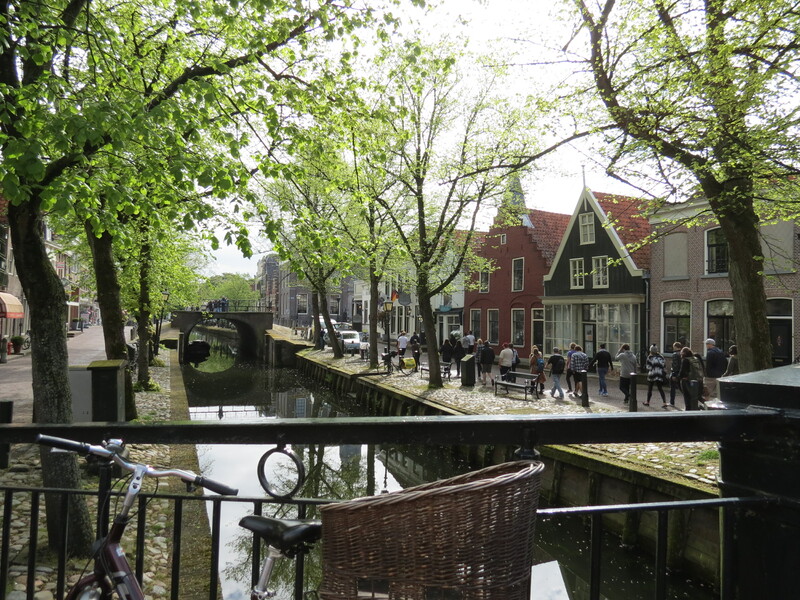 Before that moment, the last time I rode a bicycle was five years back, so I wasn’t keen on falling on my second day on Europe; but I decided to brave the streets of Edam. To my surprise, the bikes we were provided with did not have the traditional breaks I was used to – we had to pedal backwards to initiate the breaks. The moment I’d pedal backwards though, there was a sudden stop, so it was touch and go for a few moments there. 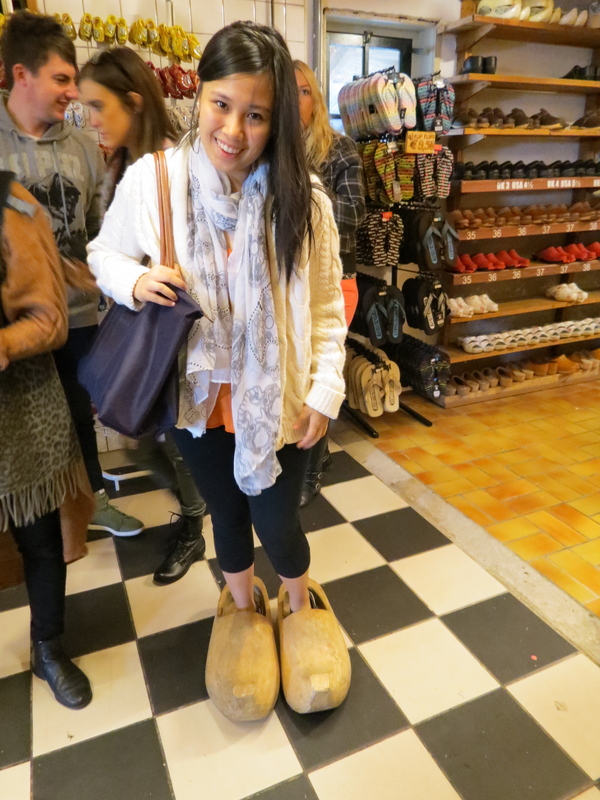 I did get the hang of it after a while, and I am proud to say that I did not fall! Despite being nervous at first, I am so glad I took the leap and went on that bike. As we cruised through the countryside, I was in awe at the pure beauty that surrounded us; not something you’d see back home. 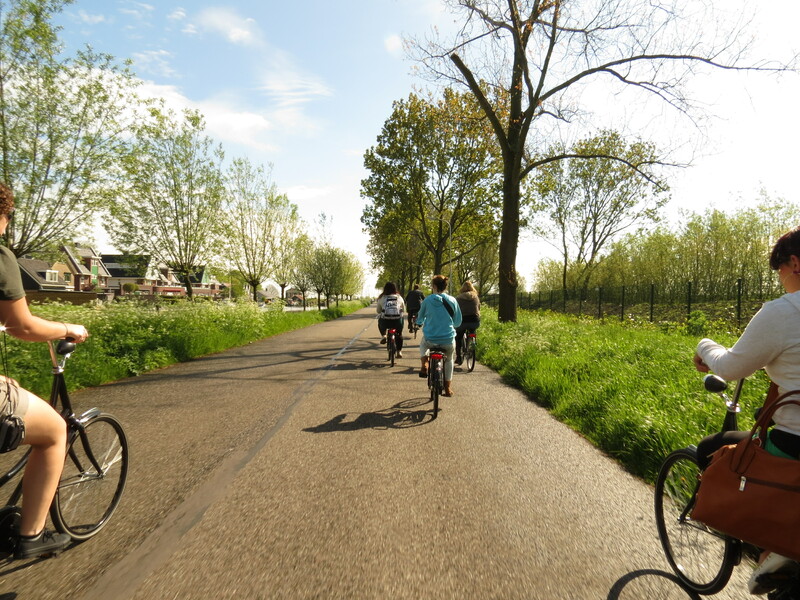 I have to admit, I was a tad bit wobbly while biking at first, but the feeling of biking through the Netherlands while getting a whiff of the amazingly fresh air eventually overcame my nervousness. I spy with my little eye: a windmill! 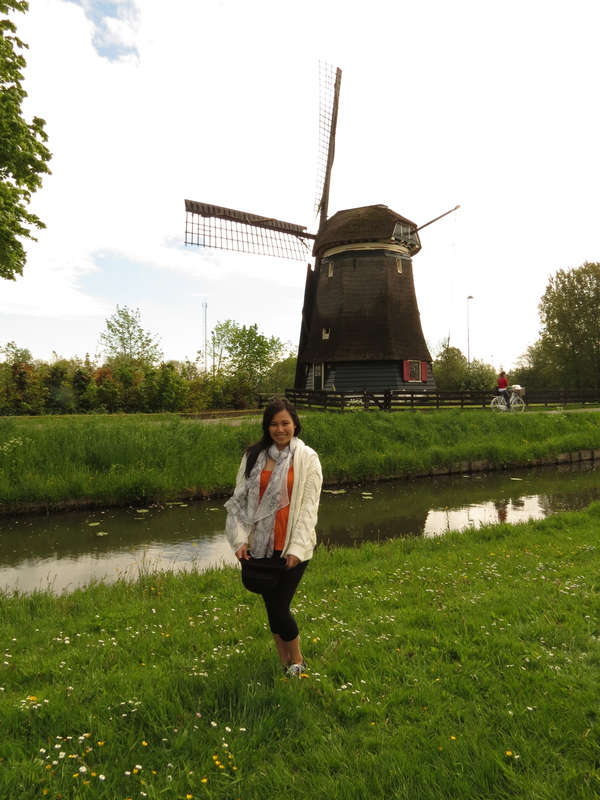 Though we drove past several windmills while driving into Edam (and even later while driving through Europe), the bike tour got us up close and personal with one of smaller-sized windmills. 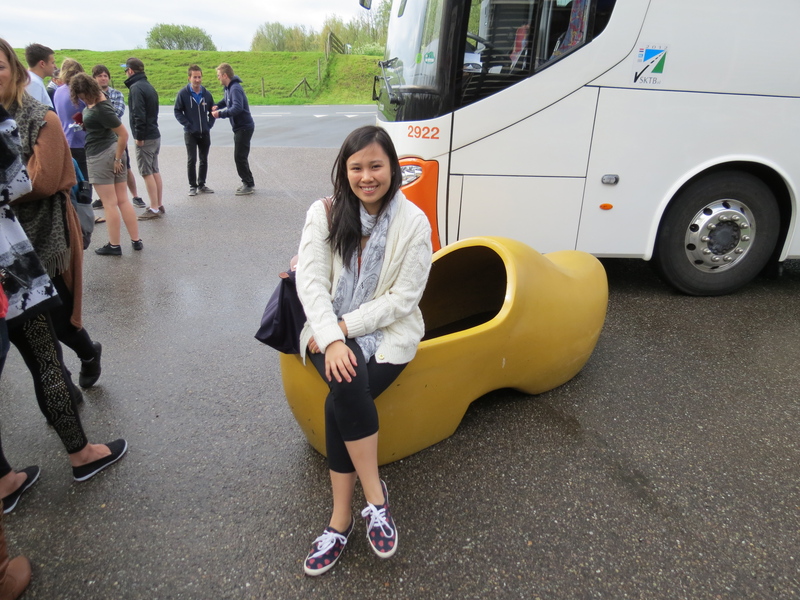 An icon for the Netherlands, it’s a must-see when you’re visiting the Dutch countryside. 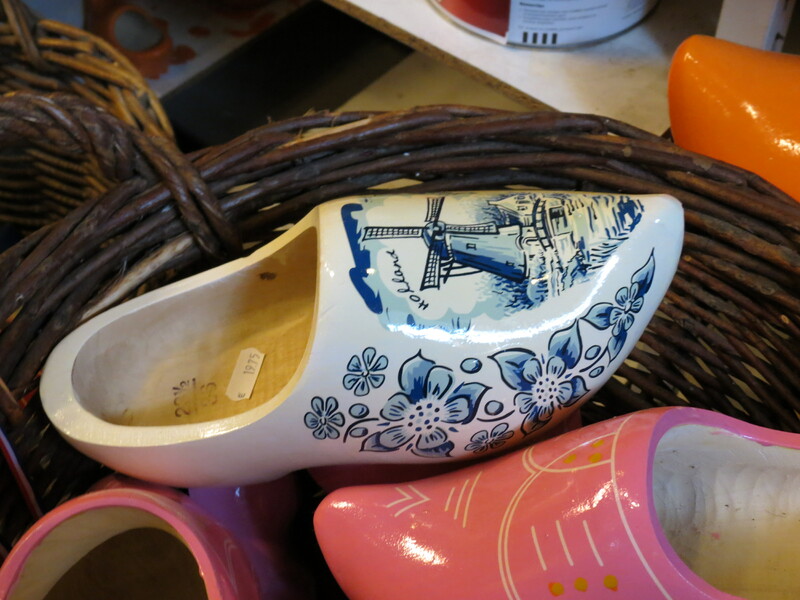 A trip to the Dutch countryside has got to entail these four things: clogs, cheese, windmills and of course, never forget – biking! 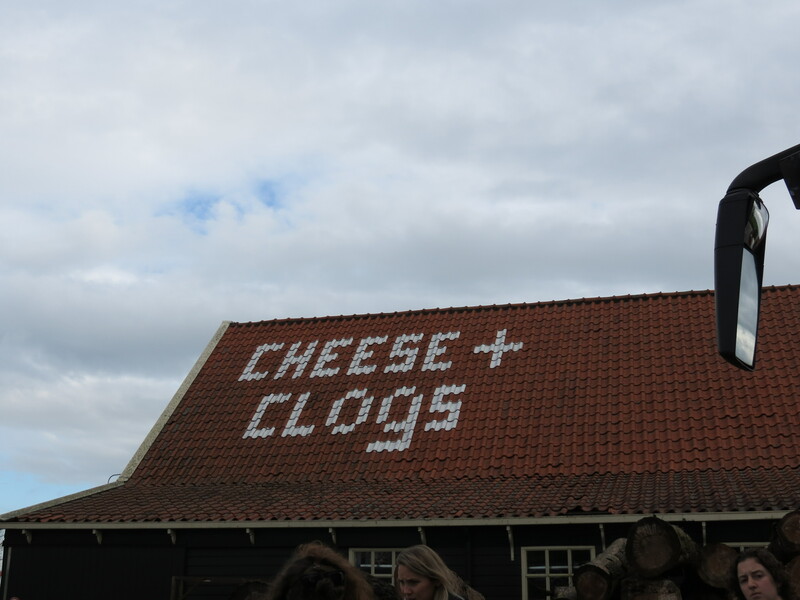 If you don’t know how to just yet, I suggest you learn before flying into the Netherlands, so you don’t miss-out on this fantastic experience.